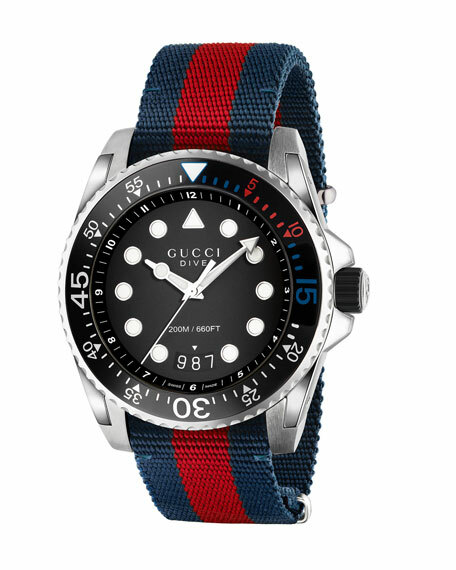 Gucci men's watch from the Gucci Dive Collection. 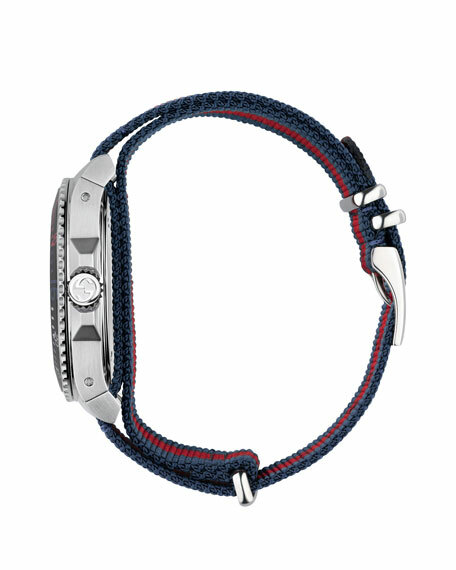 45mm round stainless steel case and hardware. Unidirectional rotating bezel with black glass insert. 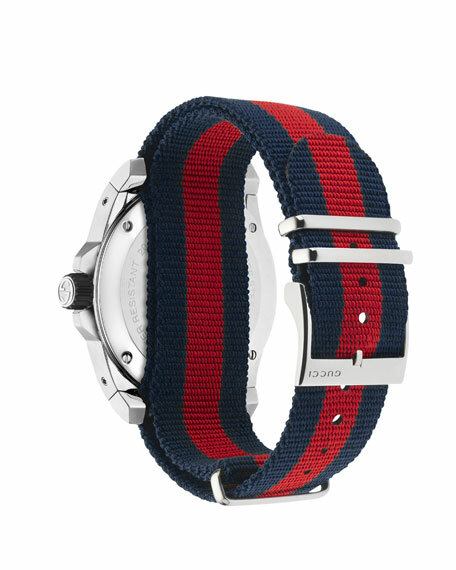 Signature web nylon strap and dial. Matte black dial with luminescent dot indices. Luminescent three-hand ETA quartz movement. Water resistant to 20 ATM.